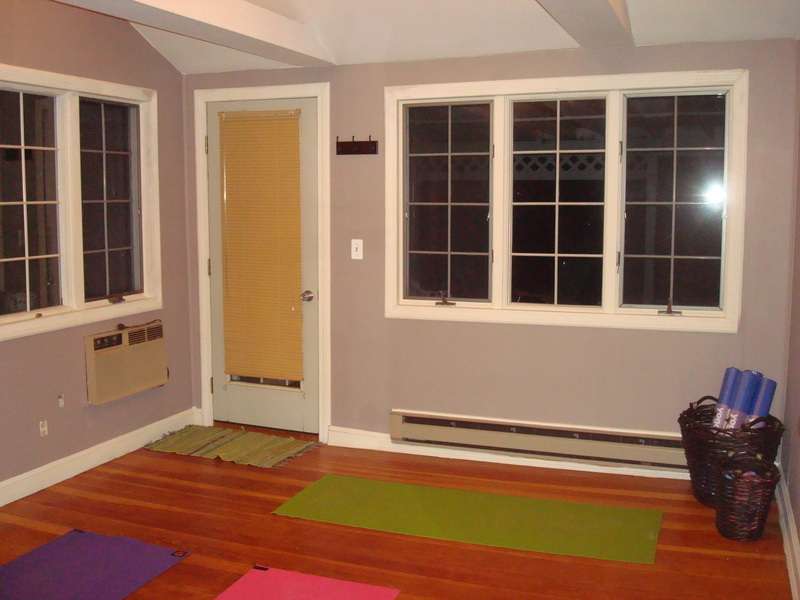 With the piano now gone, I quickly got started on converting my old drab sun room into a relaxing yoga space. 1. How much would it cost? 2. What color would I use? 3. What kind of art/supplies would help achieve a relaxing mood in the room? 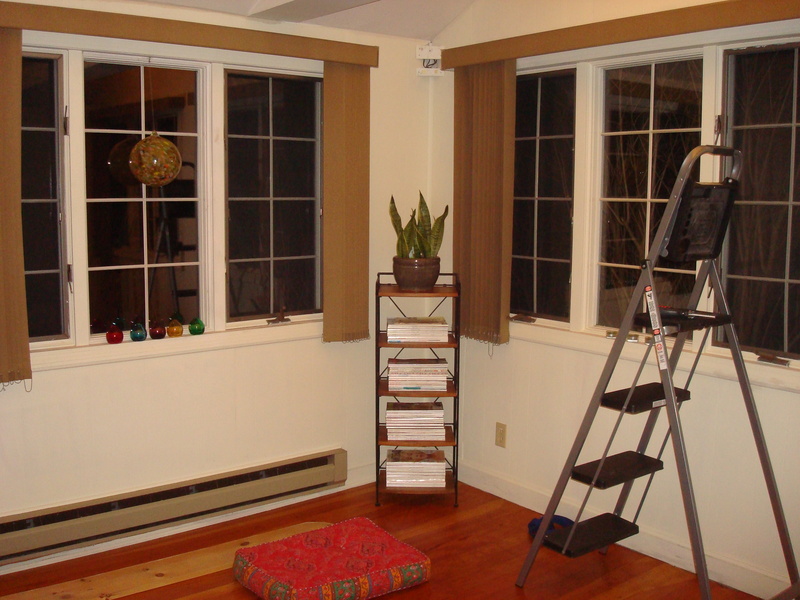 While I was fortunate to already have dimmer lighting and lots of natural light in the room, I knew that I would also have to purchase curtains to replace the ugly brown window blinds I had taken down. 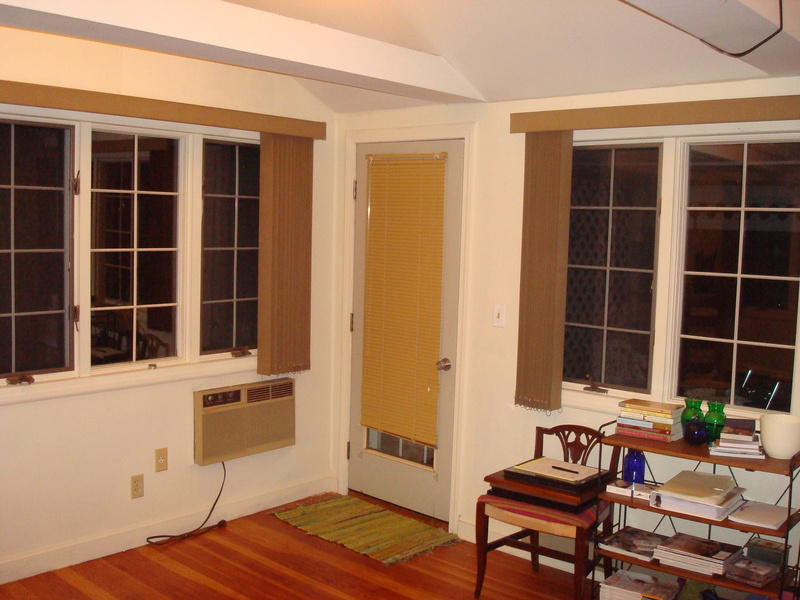 For anyone who wants to create a space such as the one below, rest assured. It does not cost a lot of money. 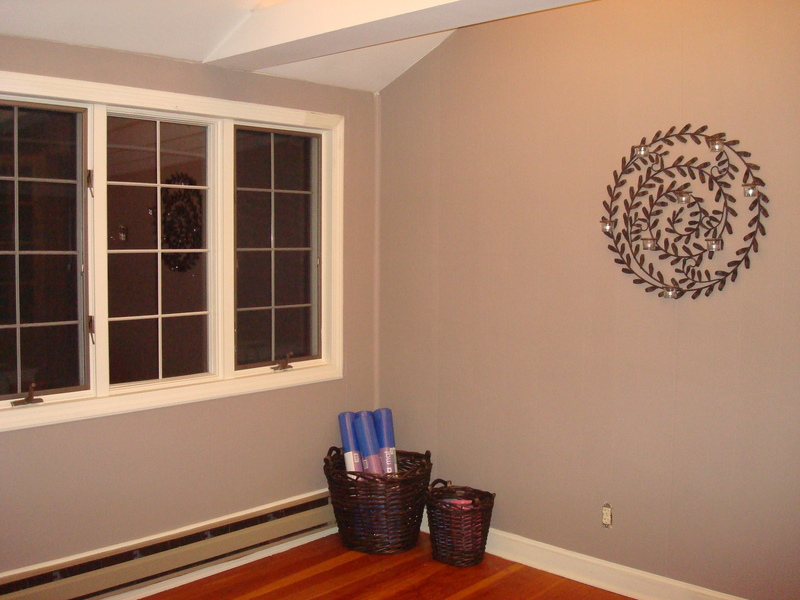 Here’s an itemized list of what I spent for my yoga room makeover. 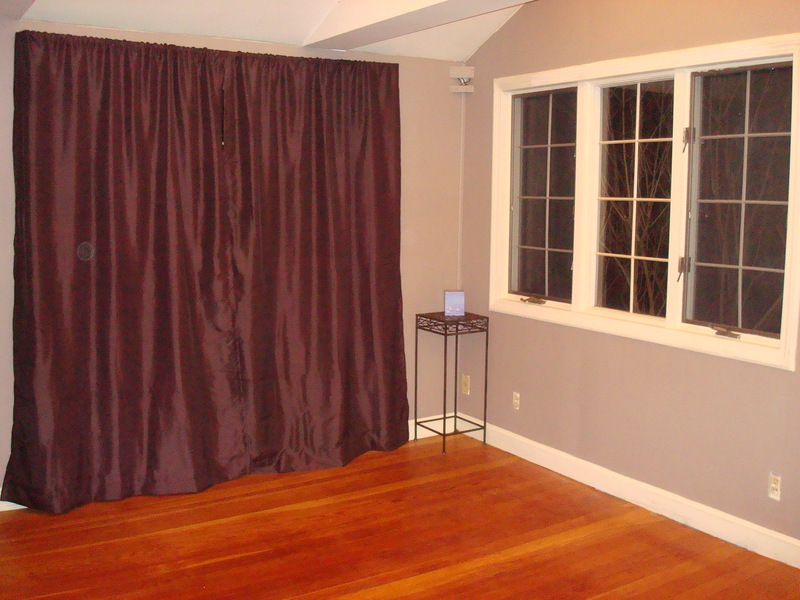 I have already practiced in this room a few times, usually early in the morning and I find the light purple color of the walls extremely soothing (purple is the seventh chakra, the crown chakra). And in the evenings, somehow… almost magically, the color turns to gray.